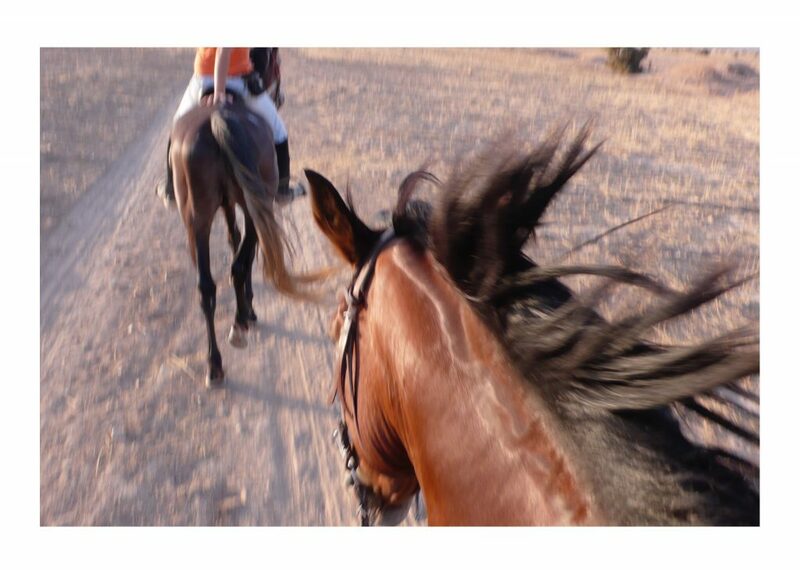 WE PROPOSE FOUR HORSE RIDING STAYS AT DARZAHIA. TWO IN APRIL AND TWO THE END OF SEPTEMBER IN OUR ECOLODGE GARDEN. AN EQUESTRIAN CAMP WILL BE SET UP NEAR THE LODGES WHERE YOU WILL STAY FOR HORSE RIDING DEPARTURES DIRECTLY FROM THE GARDEN. TWO FIRST STAYS FROM APRIL 7TH TO 13TH AND FROM APRIL 14TH TO 20TH. AND TWO MORE STAYS IN SEPTEMBER FROM 16TH TO 22SD 2017 AND FROM SEPTEMBER 23RD TO 29TH 2018. 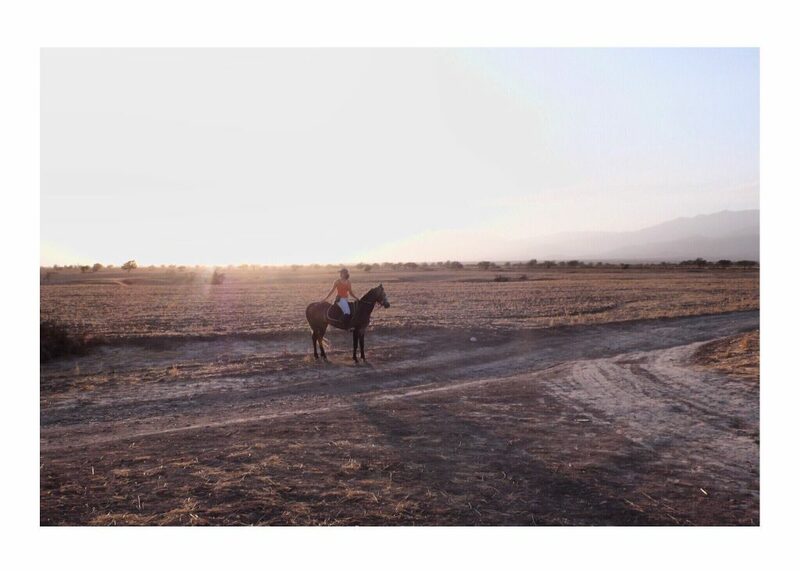 You spend 6 days in the countryside in a beautiful and large garden and spend most of your days on horseback to discover the surroundings of Taroudant. You ride the great plains of the Souss along the foothills of the Hight Atlas. You cross argan forest and rural villages. You get acquainted with shepherds and villagers, and sometimes share a tea with them. After the rides, you can enjoy local specialties at lunch and dinner. The rest of the time you relax in the garden under an olive tree, you take a nap in a hammock or read on a bench in the shade of a fig tree. You cool off in the swim-lane as you contemplate the garden of euphorbia and grasses. You visit Taroudant or shop in the artisan souk. With our expert riders Elodie and Thami who will accompany and guide you during your time on horseback, and with other horse lovers and lovers of exploring the wilderness. For everybody! Beginners and experienced riders are welcome. Our horses are well trained to stay calm for riders at every level. You will be grouped to a pace adapted to your level. 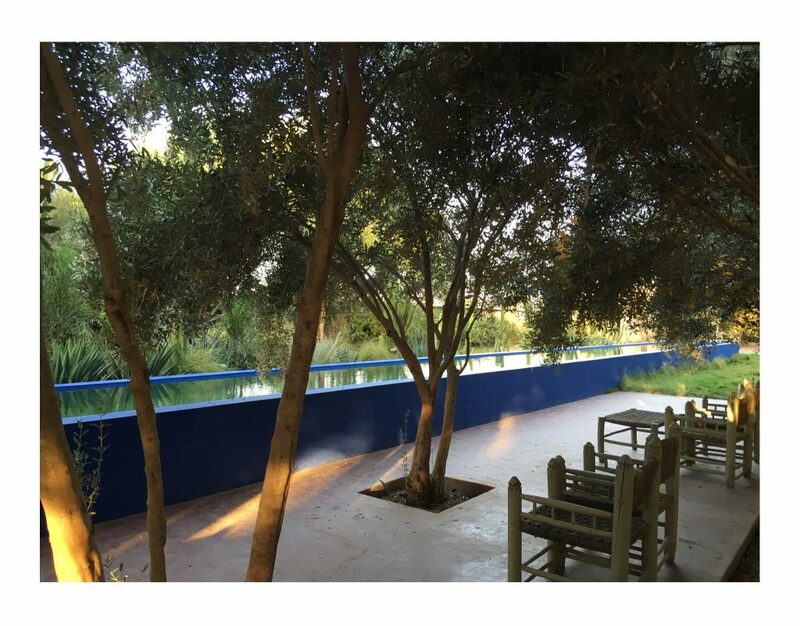 In a large and luxuriant garden in the middle of olive trees fields in full nature facing the Atlas mountains. You sleep alone or together in a dream pavilion on stilts. You are in paradise, you fall asleep by the light of candles and the sound of the cricket, and you awake in the light of day to the song of the lark and the garden bulbul. I WANT TO COME! HOW MUCH DOES IT COST? 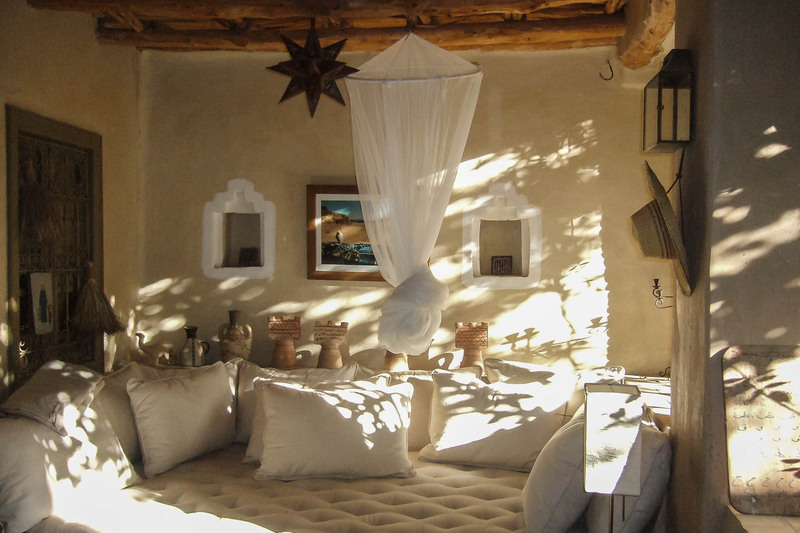 The 7 days and 6 nights half board, organic vegetarian cuisine, 590 euros per person for a double room and 690 euros per person for a single room. Two sessions are available in April from 7th to 13th and from April 14th to 20th. Two more sessions available in September from September 16th to 22sd and from September 23rd to 29th. I WANT TO COME, HOW DO I BOOK? 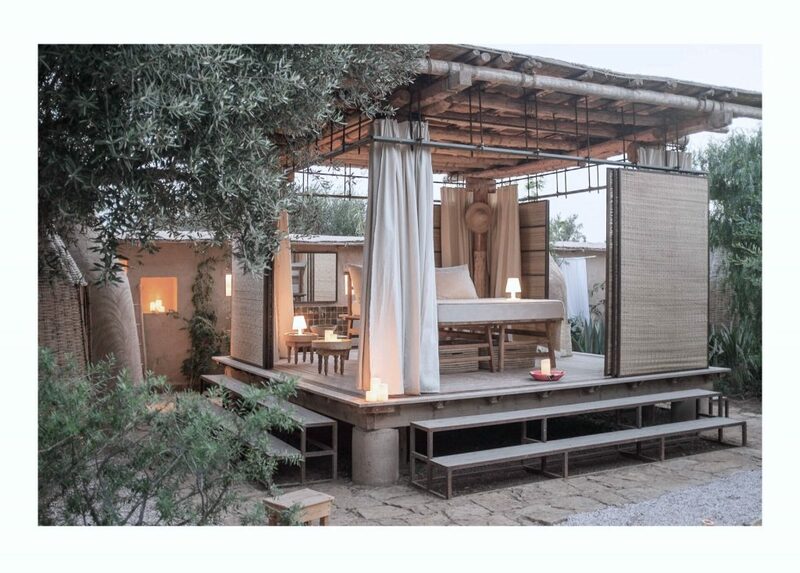 You write to us at contact@darzahia-taroudant.com, we will answer you to confirm the availability. HOW DO I COME TO DARZAHIA? You fly to Agadir and we will pick you up at the airport (40 euros per transfer). From there you are taken care of by our team until your return. For all inquiries, Contact us at contact@darzahia-taoudant.com.